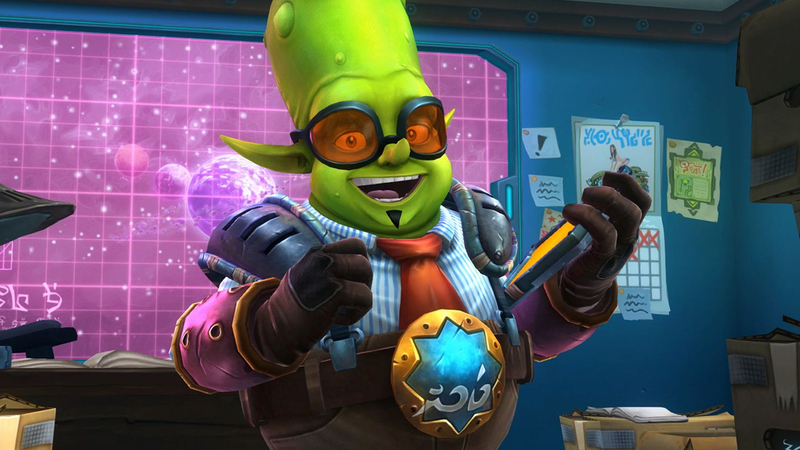 The Engineer in WildStar is one of three tanks. Unlike your typical tank in the genre the Engineer is capable of tanking from range instead of melee. Carrying a launcher (that’s a hand-cannon to you and I) the Engineer can also make use of a variety of AI controlled pets that are able to deal damage or taunt enemies. To support the Engineer as a tank and damage dealer they have access to an Exo Suit with two modes: Eradicate and Provoke. The Exo Suit allows the Engineer to run at full speed while attacking but also bolsters their defence or offensive dependant on which mode you activate. It should be noted that the Engineer when out of the Exo Suit has his speed reduced when attacking (75% movement speed) and as mentioned above is only capable of running full speed when the Exo Suit is active. For many people this can be difficult to overcome as running slower in combat compared to other classes takes time to get used to. Fortunately, even though the Engineer moves slower in combat he can absorb plenty of damage and can melt faces ridiculously quickly at level 50. No really, his damage is amazing. AMP - A system to buff your abilities by spending AMP points. Once you’ve built up your Volatility you’ll need to use it and the Engineers “spenders” or “dump” skills are incredibly powerful. You can reach a maximum of 100 Volatility but can begin to spend it at any time: Electrocute is the primary spender most Engineers use because it hits like a truck and slowly uses your Volatility over a period of time. Other skills such as Bolt Caster or Mortar Strike used fixed amounts (25 and 60 respectively). Alongside Volatility and important in generating it, is the Exo Suit. As mentioned above it doesn’t matter what mode you’re in, the Exo Suit will generate 10 Volatility per second. When combined with your builder skills, it’s relatively easy to maximise your Volatility in a few seconds. What I would recommend is that you attempt to maximise your Volatility just through skills first, then dump it using Electrocute (or other skills) followed by your Exo Suit. This way you get an excellent cycle of two periods of maximum Volatility. The Engineer is actually a tough class to play. It has very few escape skills and the fact it runs slower when using its skills make it an easy target in PvP and in PvE. You’ll take the brunt of most attacks from enemies as they quickly approach you even if you aren’t wanting to tank. What I will say is that you need to establish a clear divide between how you play PvE and PvP with totally different skill sets. In PvE bots work reasonably well, especially the Brusier Bot that’s capable of holding aggro easily. However, in PvP bots are pretty useless and you’d be much better taking other skills to survive. What I’d always recommend with an Engineer is that despite your heavy armor you’re very fragile if focused. The primary reason for that, certainly in a PvP environment and as mentioned above, is because escape skills are limited. Instead the Engineer relies on raw mitigation to get them through fits. Interestingly as a ranged tank you shouldn’t expect to simply stay at the back of encounters taking no damage. Instead and due to the nature of enemy encounters, once you’ve drawn aggro enemies will quickly be in melee range of you. Subsequently and unless you are using a Bruiser Bot to take aggro for you, you’ll still be face tanking like Stalkers and Warriors. Fortunately you can switch to Provoke mode on your Exo Suit and reduce the damage you take, as well as increasing your resistances. Remember that positioning is important with an Engineer, especially in PvP. Try not to overextend and ensure you place yourself where you can retreat quickly. Utilise Bots in PvE as they’re great for keeping aggro from you. In PvP however, the Artillery and Bruiser Bot is pretty poor. Thankfully the Repair Bot has an excellent active shield heal (though it requires AMP investment) while the Diminisher Bot has a brilliant knock down at Tier 8. 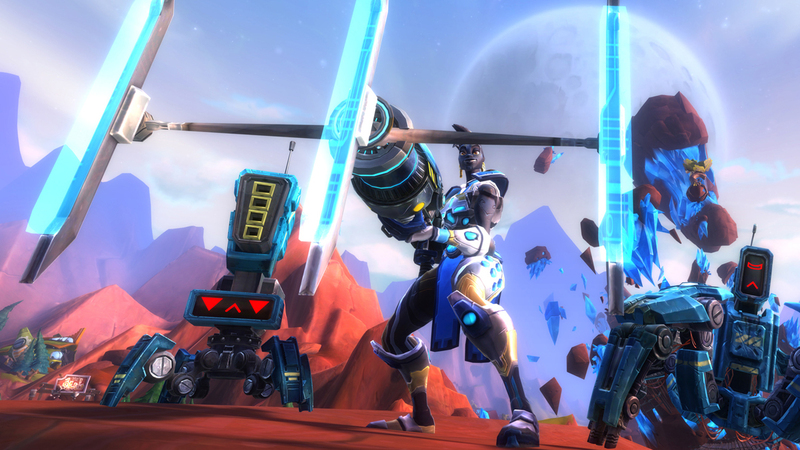 Although you're a ranged tank you'll need to be prepared to face tank as many enemies will still quickly reach you. Engineers are capable of dealing enormous damage if they specialise for DPS - don't feel like you just have to tank! Remember that you have limited escape skills so try to position yourself on the outskirts of fights so you can exit if you need to. If you do decide to tank, using Bruiser Bot is a great support skill as it is capable of taking large amounts of aggro for you. Remember that you need to build up your Volatility before you can spend it. You can however spend it the moment you have some. Try to build up your Volatility first, spend it and then use your Suit. This gives you twice the cycle of Volatility to spike down players. Remember your Exo Suit not only generates Volatility but depending on its mode allows you to run at full speed while attacking and increases damage/resistances.